Looking for binoculars to take along on your next adventure? Choosing the right ones doesn’t need to be such a complicated task. Most manufacturers showcase dozens of (similar) binocular models, making the decision even harder for the consumer. Here at Avalon Optics we think differently. 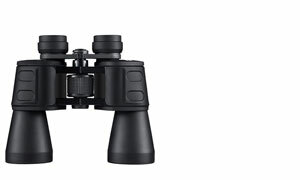 Our professional level binoculars come in only three unique versions: 8×32 (compact), 10×42 (mid size) and 20×50 (full size). If you’ve been shopping around for binoculars you’ve probably noticed that every model name is always followed by two numbers. The first number is their magnification (or zoom/power) and the second number is the diameter of their lenses. For example, 10×42 binoculars will have 10x magnification and 42 mm lenses. Some people assume that higher magnification means better binoculars. In reality this is hardly the case. When using binoculars, every slight shake of your hands is also magnified as much as the image is. 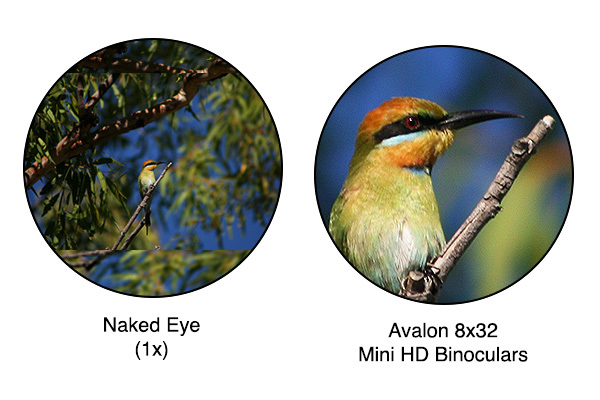 To prevent image shakiness, it is recommended to use binoculars with either 8x or 10x magnification. You will then be able to enjoy a crisp, stable image and see your subjects in excellent detail from both near and far. How to Decide Between Image Quality and Price? With Avalon binoculars you won’t need to! We don’t produce any low or mid-range binoculars. All our products feature fully multicoated HD lenses, compact lightweight designs, 100% waterproofing and fog-proofing and the highest quality images. We offer professional level binoculars, previously only available to avid bird watchers and hunters, at about half the price. 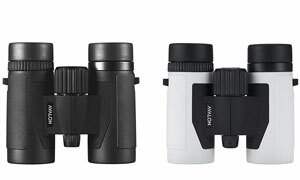 We recommend: Avalon 10×42 Pro HD Binoculars. Why? This is our best selling model, designed to be the ultimate bird watching and multi-use binoculars. Avalon 10×42 Pro HD are mid-sized yet very lightweight (19.4 ounces / 550 grams) which means you can use them either at home or outdoors. They feature outstanding quality optics for a very affordable price. They are 100% waterproof and produce exceptionally sharp images even in low light settings. 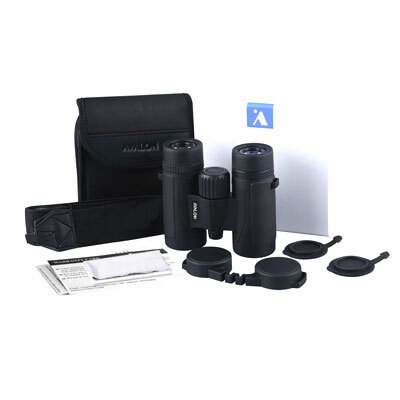 The strong 10x magnification, comfortable design and smooth focusing work extremely well for bird watching, nature or wildlife viewing, hunting, sea viewing, plane spotting or nearly any other use. 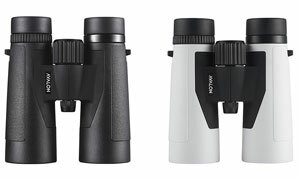 They suit any type of viewer, from a beginner to an avid binoculars user. With twist-up eyecups and a long eye relief they are also the best choice for someone who wears glasses. 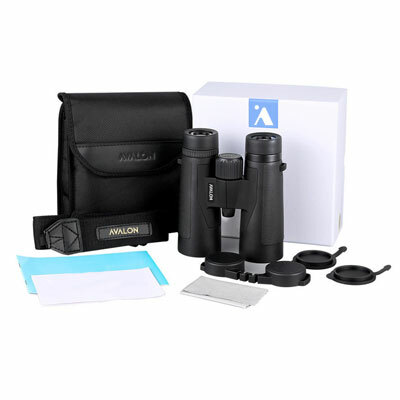 Beautifully packaged, the Avalon 10×42 Pro HD binoculars also make for a fantastic birthday or Christmas gift. We recommend: Avalon 8×32 Mini HD Binoculars. Why? 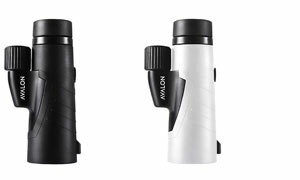 The Avalon 8×32 Mini HD Binoculars are our more compact, lightweight model (14.6 ounces / 416 grams). They are designed for traveling and mobile use. 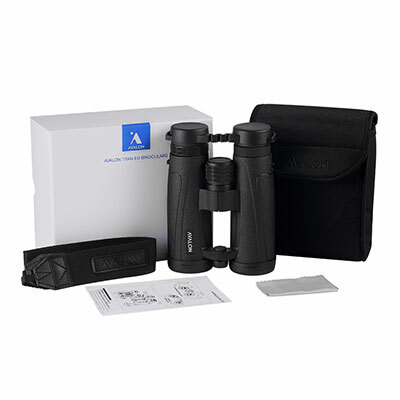 Despite their smaller size, these binoculars feature fully multicoated Avalon HD optics and produce sharp, highly defined images. Incorporating 32 mm objective lenses, they are superior to nearly any compact model on the market today. 100% waterproof and fog-proof, they can be used in any environment, including onboard a boat or cruise ship. Their 8x magnification and extra wide field of view make them ideal for following moving subjects (useful for bird watching, sports viewing or looking at wildlife). 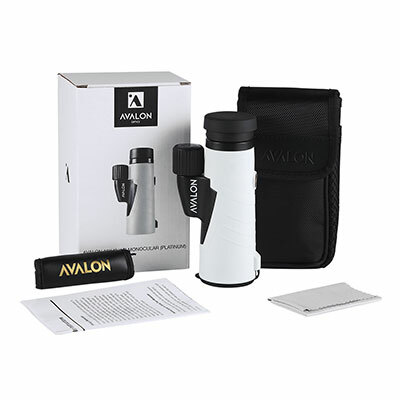 We recommend: Avalon 20×50 Outpost Binoculars. Why? The Avalon 20×50 Outpost Binoculars are our most powerful model. Featuring 20x magnification they were designed for extra long distance viewing. If you are looking at whales, ships, boats or planes from over 2-3 miles away then these are a great choice. 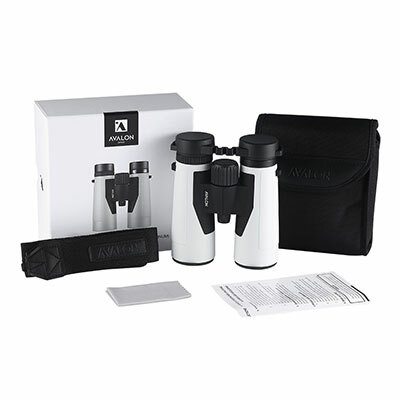 Their full size 50mm objective lenses produce brighter images making these binoculars suitable for star gazing and viewing at dawn or dusk. We recommend: Avalon 10×42 WP Monocular. Why? 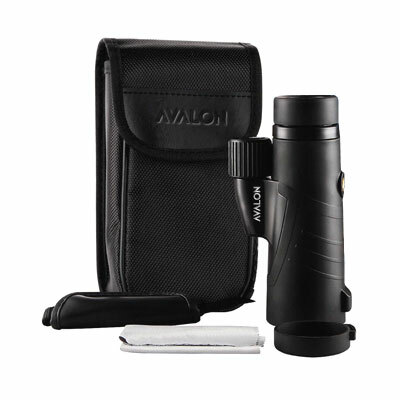 The Avalon 10×42 WP Monocular is a compact size, lightweight monocular (11.2 ounces / 320 grams). It is suitable for any kind of viewing, from 10 feet and up to 2-3 miles. 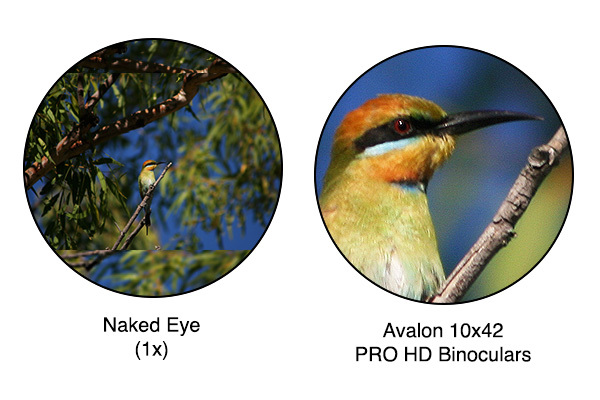 It magnifies images at 10x times your normal eyesight which means you can really see your subject in excellent detail. A central focus wheel allows you to smoothly control the magnification. The fully multicoated optics produce sharp, highly defined images. The Avalon 10×42 WP Monocular is also 100% waterproof and fog-proof. It allows for easy viewing and is designed to be used single-handed. 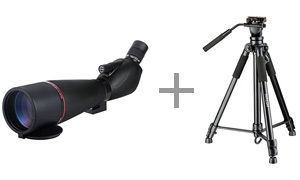 We recommend: Avalon 80mm Venture HD Spotting Scope + Avalon Universal PRO Tripod. Why? If your home has beautiful water views, countryside, beach or landscape then this is the best setup to truly enjoy them. While most telescopes are only designed for astronomy use, the Avalon 80mm Venture HD Spotting Scope offers much more than that. It is an extremely powerful multi-use scope. 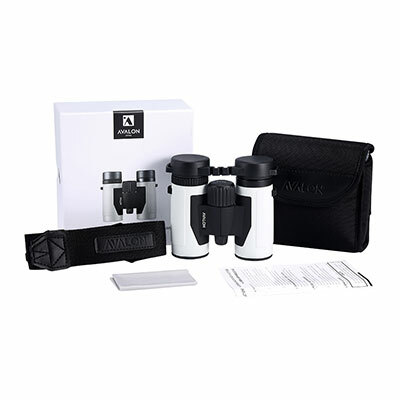 Ideal for observing the beach, ocean, moon and stars, nature watch, scenery, hunting or wildlife observation. Featuring sharp, high quality optics it is our best selling spotting scope for long distance viewing. For optimal performance we recommend pairing it with the Avalon Universal PRO Tripod.